Because everyone neds an editor. 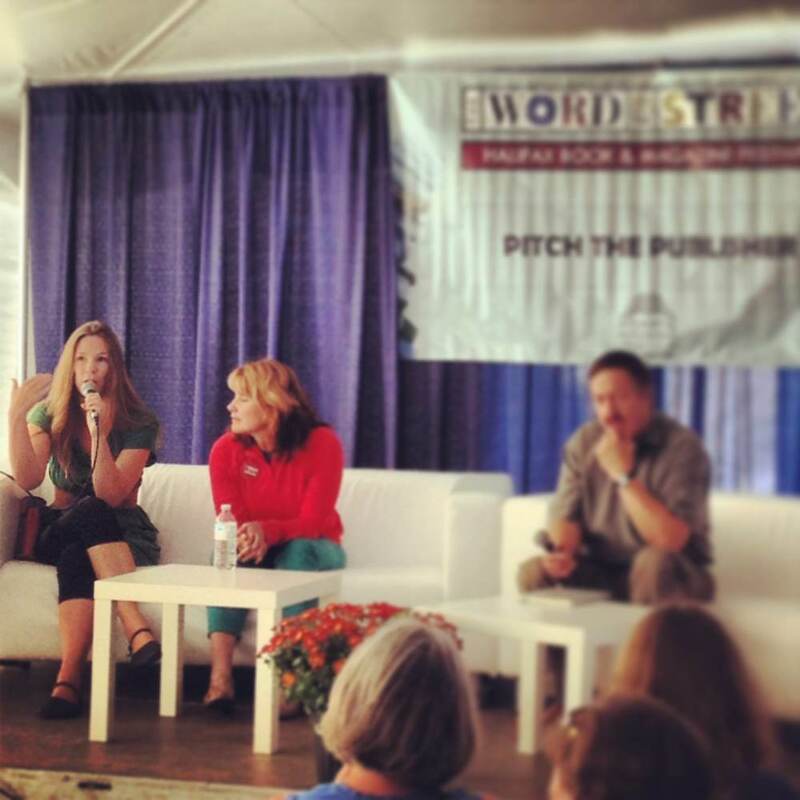 I had the pleasure of being part of Word on the Street's children's/YA Pitch the Publisher panel on Sunday, representing Nimbus Publishing. Eleven lucky applicants gave three-minute pitches of their projects, and my colleagues and I gave two minutes of advice and feedback about each pitch. I love working acquisitions, and doing Pitch the Publisher is working acquisitions at warp speed. So, Star Trek and acquisitions all at once. (We all cried when we heard about this, right? Not in a joyful wedding-sniffles way?) I love hearing authors' ideas and seeing their passion and understanding what is most important to them about their project. But I noticed a few common issues with the pitches, and they are issues that also come up a ton in submissions I get. So below are some tips for brand-new children's writers getting ready to pitch a publisher (either at Word on the Street or, more likely, the old-fashioned way. By carrier pigeon). Please note that if you have not already considered each of these items on your own, then you are almost certainly not ready to pitch just yet. 1. Know your target audience. And I don't mean "Kids!" Bookstores have very specific categories they shelve books by, and publishers use these categories too. Are you writing a board book for babies? Is this a chapter book for early readers? Is it a YA book? The answer to this question will affect the word count and format of your book. Don't pitch a fully illustrated YA novel; don't write a middle-grade novel that's only fifteen pages long. Figure out your target audience, and shape your project to fit industry conventions. Once you are a fabulously successful author, you can flout all those conventions; for now, show the publisher that you understand and respect the book industry. 2. Know your story. And I mean your story. A lot of the pitches I heard Sunday were descriptions of characters and setting and themes and lessons; only three pitchers (one of them an awesome ten-year-old girl, another an awesome teenaged boy) sketched an outline of their plots. I can't read a quick cover letter and know whether your characters are well drawn or the setting as lush as you claim or the themes as Important; but I can read a brief plot outline and know whether you have a good story to work with. You can pique my interest by showing me that you understand every story needs tension—give me a kickass protagonist, yes, please, but give that protagonist some kind of obstacle or journey or challenge. You are not a portrait artist! You are a writer. This applies to picture books, although many writers seem to think they can get away with not writing a plot but rather a collection of images and scenarios for their picture books. Nope! Something has to happen. And I say this not only as an editor, but also as a parent who has to read these books a million times a day, LITERALLY. Please. Give me a plot. Also some jokes would be nice. Your friends and family are probably never going to give you useful feedback on your manuscript. Either they're going to love it because they love everything you do because you are lovely and they love you, or they are going to not love it, but not tell you because you are lovely and they love you. Find yourself a cruelly frank writing group. Hire a freelance editor. Offer to trade critiques with another new writer, gloves off. I can always, always tell when a writer has been given honest feedback—the story arcs are tighter, the character development is authentic, and the dialogue is natural. And you know what? Not only does the work impress me more, but you impress me more, for having taken your writing seriously enough to let someone else tear it apart. 4. Read. In your pitch, you should be able to compare your book to other books. Don't tell me this is the next Hunger Games, but do tell me a few books and authors that are comparable to your title. It's shorthand that helps me easily understand what you're envisioning in terms of genre, audience, length, etc. The thing is, I sometimes feel like I'm reading pitches from people who have never actually read books for children. This is not okay. Read some books. Read Hackmatack nominees and Geoffrey Bilson winners and of course, Newbery Medal winners. Read some terrible children's books, while you're at it, and if they remind you of your own then do some revisions before you pitch anyone anything. Bonus tip: Keep it professional. Not so much a bonus as something I just reminded myself of: You are entering into a business relationship with a publisher, whether they accept your manuscript or not. For the love of books, BE PROFESSIONAL. Here is a helpful BONUS TIP LIST. pester an editor you've submitted to. Gentle reminders/check-ins are fair and fine; but understand that that enormous pile of glowering manuscripts is not going to get read any faster if you email every day or drop by the office unannounced. The waiting is SO HARD, I understand—but it's part of the book publishing industry. get shirty after being declined. So many of the authors that I eventually worked with at Nimbus were turned down over and over again—their projects just were not right for the company. But the ones who stayed classy and understood why I was declining and kept working at their writing and honing projects to suit Nimbus's mandate proved to me that they would be excellent to work with, and I ended up publishing a whole bunch of them. Okay, that's it for now. Good luck! I am an editor working in Halifax, Nova Scotia.